The official address for ALL Uber, Lyft and cab drop-offs/pick-ups is 410 W. Dallas Rd. near the Lone Star Hi-Railers Model Train Exhibit (slightly past Chill Sports Bar & Grill). 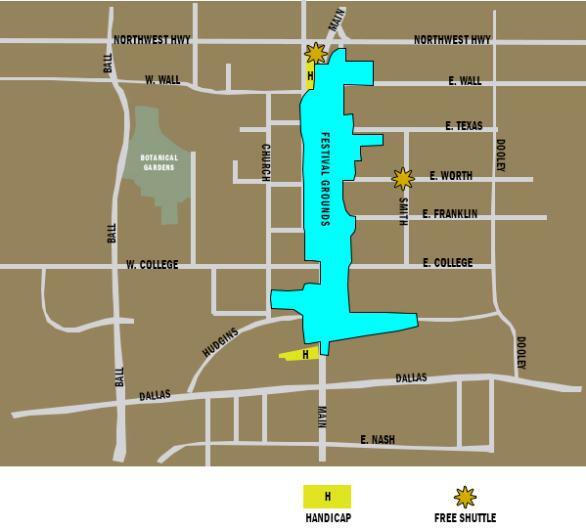 There are many parking options available for GrapeFest, presented by Bank of the West. Keep reading and scrolling to see all your options as well as interactive maps and best routes to take from your city! 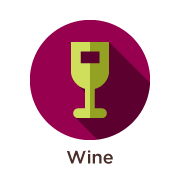 As you arrive in Grapevine, you&apos;ll notice street signs pointing you to nearby parking lots. 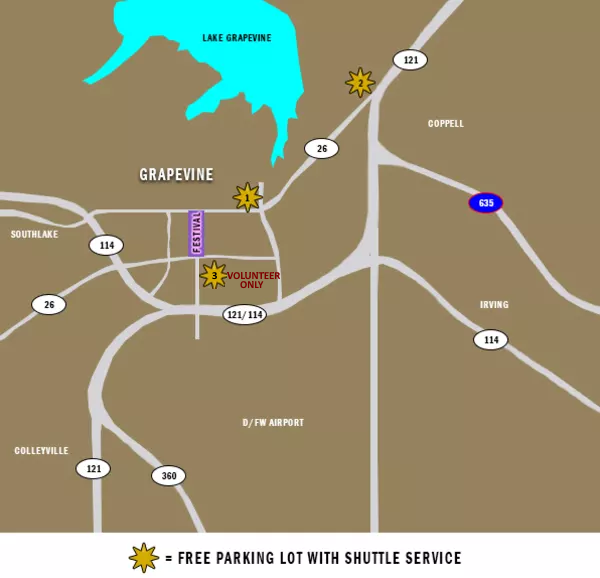 There are also three free parking lots that offer a complimentary shuttle service to and from the festival grounds making getting GrapeFest even easier! Keep in mind there are many private residences and businesses nearby the festival grounds - please do not park in front of a private residence or business lot without prior permission from the owner. Also please observe any "No Parking" signs posted. The city is not responsible for vehicles towed from private businesses or residences. 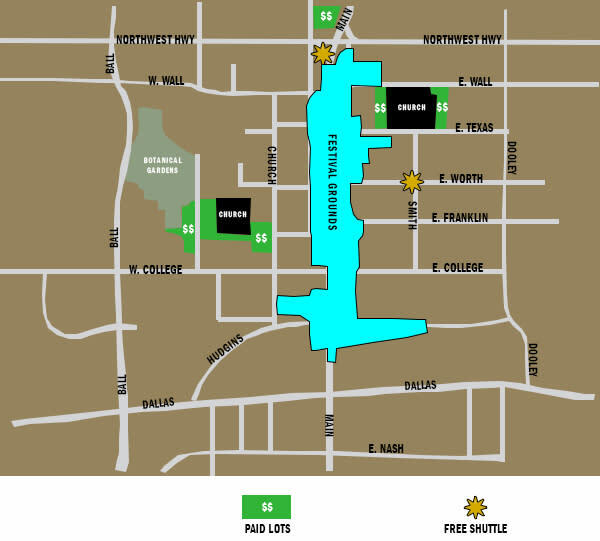 This option requires the least amount of walking and is the easiest option for the highest number of parking spaces with an air-conditioned shuttle ride directly to the festival grounds. 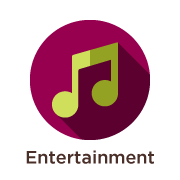 We recommend using this option especially if your group has young children or elderly adults. 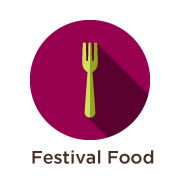 There are two additional lots near the festival grounds within a reasonable walking distance. These lots do not offer shuttle service. These lots are only available to vehicles displaying a valid handicap parking permit. Vehicles meeting this criteria may park for free. Please note space is limited in these lots and may fill up. There are four large parking lots operated by civic groups or non-profit organizations that use parking fees collected to assist with their organizations. If you are one of our VIP&apos;s and have special parking permit, these lots are saved for you! See a map featuring all the nearby parking options on a single map. If coming from southwestern areas, take roads to get to TX-183 north towards TX-121 north. If coming from northwestern areas, take roads to get to TX-114 south. Stay on TX-114/TX-121 heading towards the north entry of the D/FW airport. Exit Main Street from 114/121 and turn left. 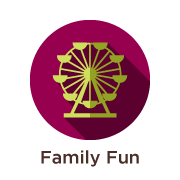 The closest parking lot with free shuttle service is Lot #1 near the Gaylord Texan and Great Wolf Lodge. Take TX-114 north towards the north entry of the D/FW airport. Exit Main Street from 114/121 and turn right. 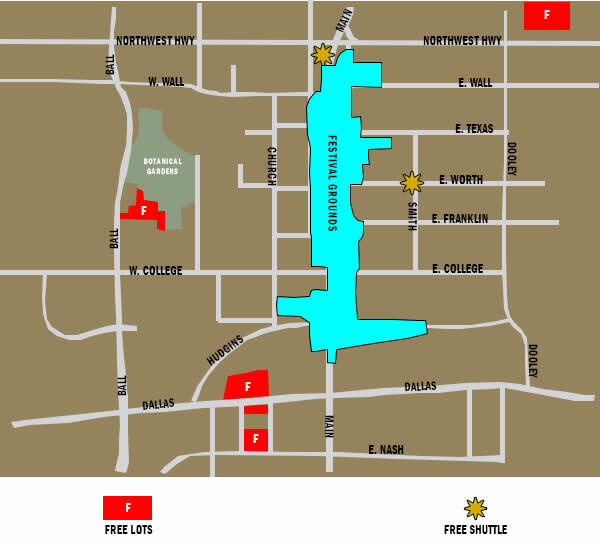 The closest parking lot with free shuttle service is Lot #1 near the Gaylord Texan and Great Wolf Lodge. Thursday: 7 a.m. - 11:30 p.m.
Friday: 7 a.m. - 12:30 a.m.
Saturday: 7 a.m. - 12:30 a.m.
Sunday: 8 a.m. - 7 p.m. This lot is close to the Gaylord Texan and Great Wolf Lodge and offers the closest lot to the north entry of the festival grounds. This also is the largest parking lot of the three shuttle lots. 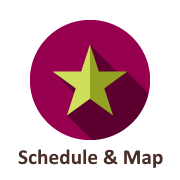 Walking distance from lot to festival entrance is approximately 1 mile or 20 minutes. This lot has easy on and off access to Highway 121 and access to multiple nearby activities or restaurants including at Grapevine Mills. The shuttle picks/drops near Steak and Shake. This shuttle drops near the gate of the north entry of the festival. Walking distance from lot to festival entrance is approximately 2.8 miles or 1 hour. 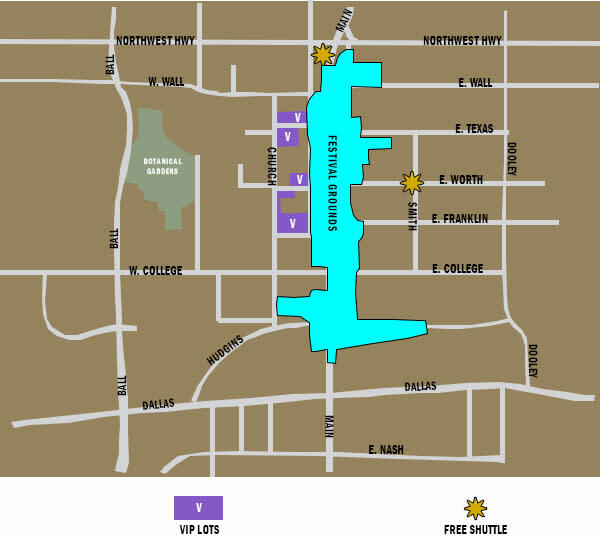 NOTE: These additional free parking lots do NOT offer shuttle service. Please scroll up to see the lots that offer shuttle service. This lot is located close to the south entry gate and is only 0.3 miles or roughly a 4 minute walk to the festival entrance. There is limited space in this lot, however, and it does fill quickly. This lot is located next to the Botanical Gardens and is roughly 0.5 miles or a 10 minute walk to the festival entrance. Space is limited as the lot next to it is owned by the Methodist Church who charges for parking in their private lot. It is suggested to use the festival entrance near 201 W Franklin Street as the closest point to this lot. This lot is located close to the south entry gate and is only 0.4 miles or roughly a 4 minute walk to the festival entrance. This is the location of the former Grapevine Police Department and Courts building (some signage may remain, however it is okay to utilize this lot). There is limited space in this lot, however, and it does fill quickly. NOTE: A valid handicap permit must be displayed to gain access to these lots. Lots are manned by a festival worker to only allow vehicles meeting the criteria in these lots. There is not shuttle service at these lots. This lot is located near the south entrance of the festival, near "Chill Sports Bar & Grill". Because of traffic variations due to blocked roads, you may need to drive on the far left side of the road (opposite of the normal direction) to gain access around the safety barriers. Proceed slowly as there are many pedestrians in this area. This lot is located near the north entrance of the festival, near "Sonic" and "Kountry Donuts". Proceed slowly as there are many pedestrians in this area. NOTE: Paid parking lots are operated by private businesses, groups, or organizations and are not affiliated with the City of Grapevine. Fees collected by these paid lots are not collected by GrapeFest or the City of Grapevine. These paid lots set their own parking rate/fee and are not set by GrapeFest. 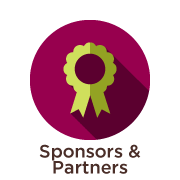 Many lots benefit a non-profit organization or funds are donated to a charity. Approximate Address For Parking Lot: 500 Church St. This lot is part of the First United Methodist Church of Grapevine and supports their outreach and youth programs. Approximate Address For Parking Lot: 439 S Scribner St. 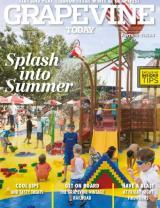 This lot is operated by the Boy Scouts of America and the local troops in the Grapevine-Colleyville area. Approximate Address For Parking Lot: 365 E Wall St. This lot is part of the First Baptist Church of Grapevine and supports their outreach and youth programs. Approximate Address For Parking Lot: 124 N. Main St. This lot is part of the Bank of the West parking lot and supports the Grapevine Lions Club. Approximate Address For Parking Lot: 400 Church St. Approximate Address For Parking Lot: 200 W. Worth St. Approximate Address For Parking Lot: 200 Church St.